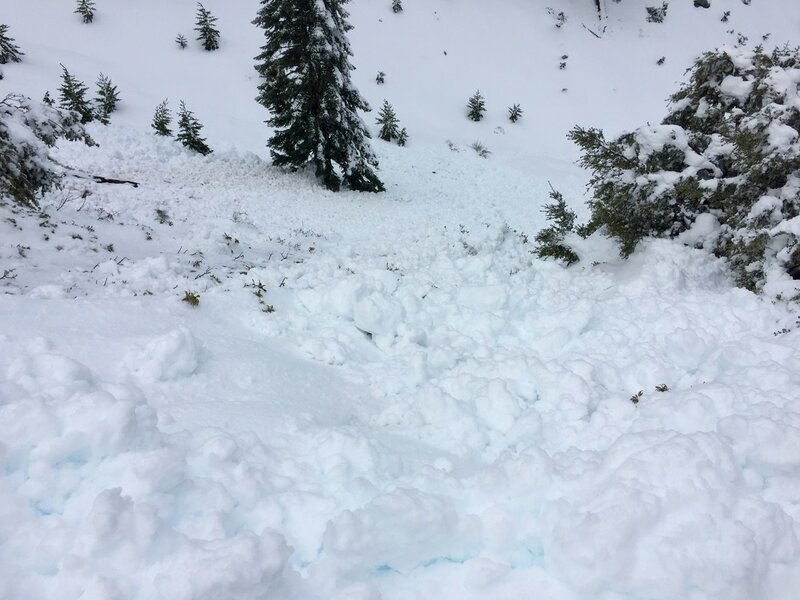 Large avalanche debris across the bootpacked trail. It spanned at least 20 meters across. 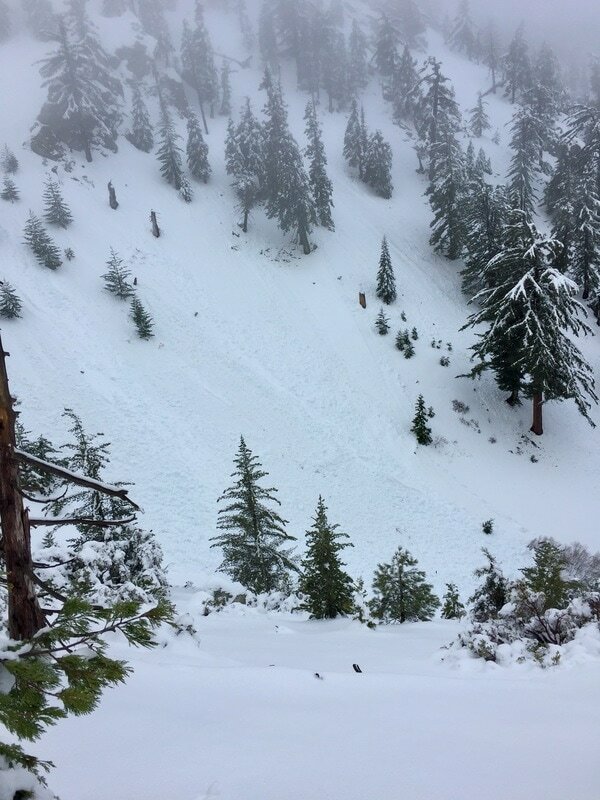 Avalanche pulled snow at least 30meters upslope, showing bare ground, and debris reached the bottom of Delker Canyon. Had to have happened on either 2-17 to 2-18. Snow is definitely slabby and avy debris is observable on both N-NE and S-SW of the canyon. Please see attached GPX of turnaround point and photos.